FOR many years, we retracted into our shell and seldom voiced our opinion on world affairs for fear that this could invite reprisals. As a nation, we played it safe. 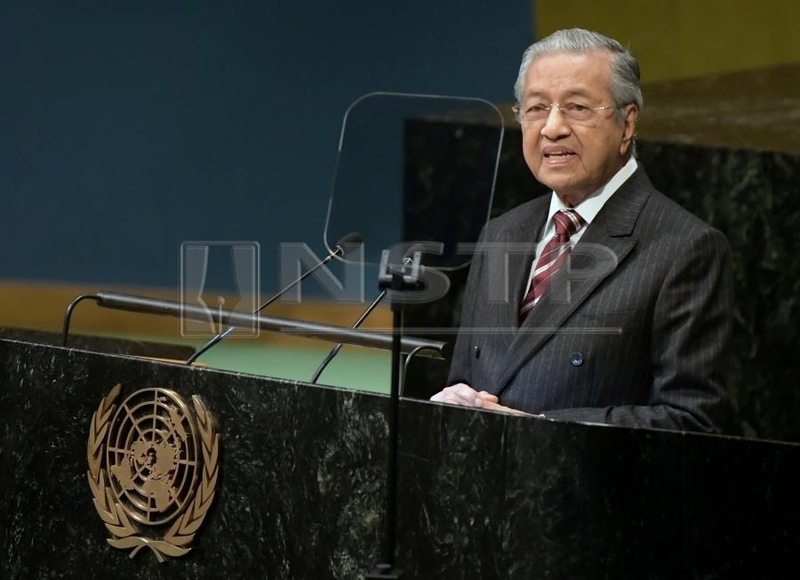 The act of reclaiming our voice was done by Prime Minister Tun Dr Mahathir Mohamad when he addressed the United National General Assembly in New York. It was vintage Dr Mahathir. He started slowly, setting the pace as he took to task powerful countries which who did nothing to help smaller countries with limited resources. The last time Dr Mahathir spoke at the United Nations was in 2003, and he noticed that nothing much has changed in the world. He took up the cause of the Palestinian people, a matter close to his heart. True to form, Dr Mahathir does not run away from tough questions. Appearing on BBC’s HARDTalk in London, he gave frank answers to what was thrown at him. A vintage performance, again.